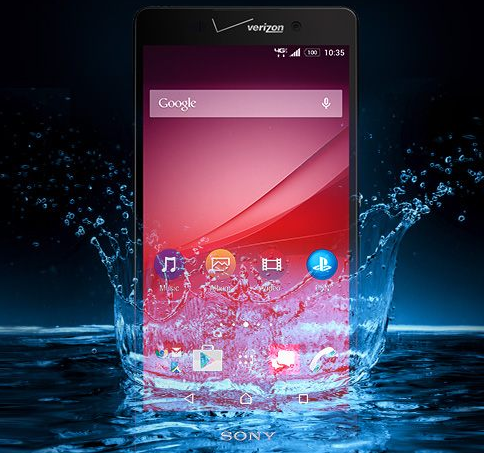 There aren't a lot of Sony phones on US carriers, so there's some attention focused on Verizon and its upcoming Xperia Z4v release. The phone was announced a few weeks back with hints of a strong marketing push and special PS4 gaming capabilities. One thing we didn't get was a date. Now we might have one. 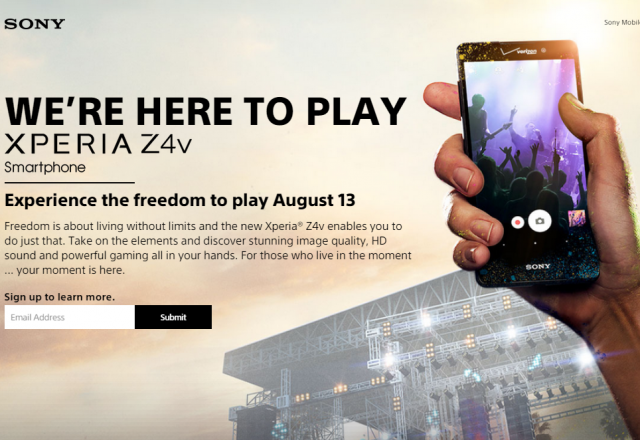 Sony's landing page briefly displayed August 13th as the big day, but the company has quietly removed that after people started to notice. It's possible this wasn't supposed to be divulged yet, or the date might have been pushed back. It's also possible this was a placeholder date, but it's a strange day to choose as a palce holder. At any rate, this is the closest we have to an official announcement. The Snapdragon 810-powered Z4v will be mostly the same as the international Z4 (and Z3+), except it will pack a 2K screen, larger battery, and probably a ton of Verizon junkware. Joke's on you. Update: Sony Mobile now says the date was inaccurate and posted on that page in error.